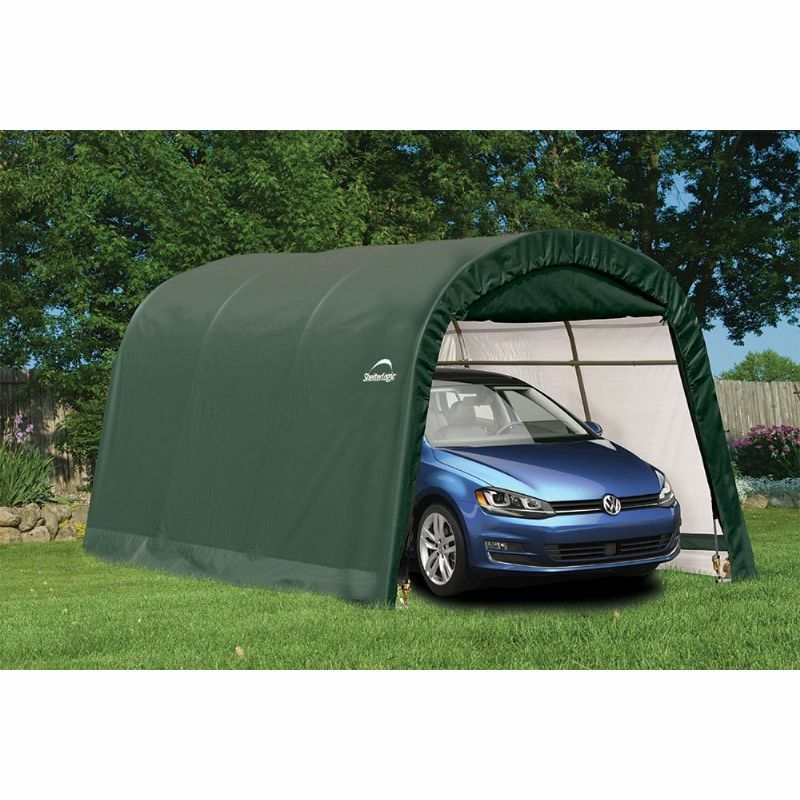 The ShelterLogic Round Top Auto Shelter 10ft x 15ft offers a waterproof hanger style storage solution for cars, motorbikes and garden equipment, making it ideal for using during the winter months. 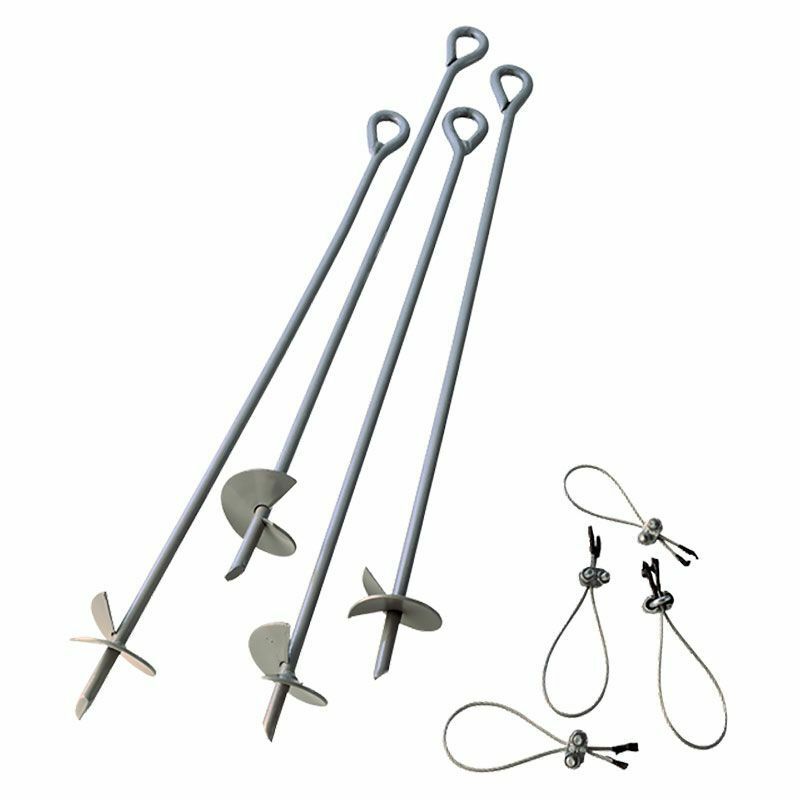 Use ShelterLogic Easy Hook Earth Anchors for securing ShelterLogic sheds, shelters, and greenhouses into a variety of surfaces and substrates. To mount on hard ground, this shelter has feet with holes that you can put bolts through. This is a good product as described; it did the job for us. 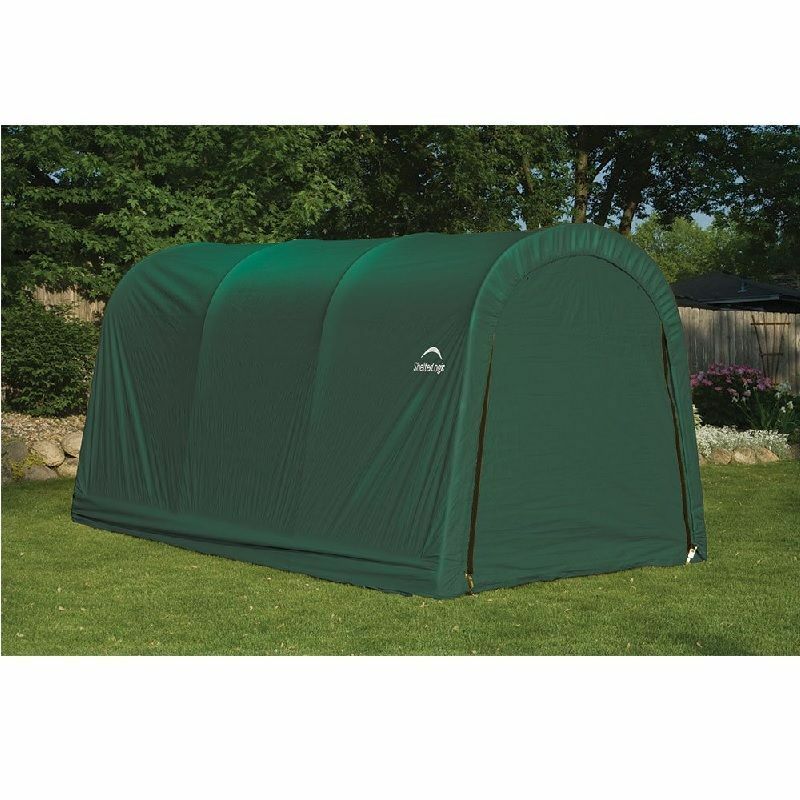 This is a good product as described; it did the job for us and was cheaper from Greenfingers. We are using is for storage whilst we do development work on our property. We had one small problem, which was no fault of Greenfingers or Rowlinsons; it was probably my fault when I put it up. However, the problem was rectified quickly, efficiently with no charge. You can buy with confidence from both Greenfingers and Rowlinsons, good Companies and great service.